Keeping your sensitive information like passwords, banking details, financial credentials safe & secured from external intruders has long been a priority of business and individuals. 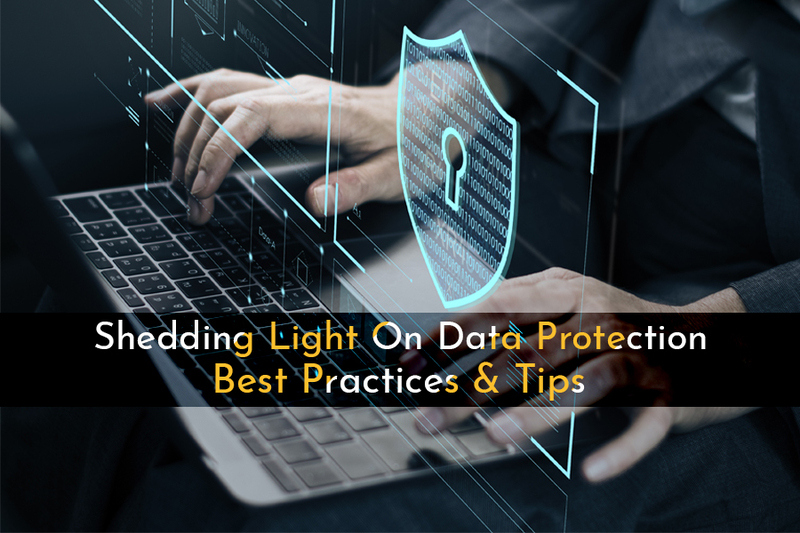 With daily breaches emerging on regular basis, organizations & users should implement actionable tips & recommendations for improved data protection. How To Keep Data Safe and Secure? Data Breaches, being one of the major loss to organizations and individuals. It’s dismal to see how careless people get when it comes to handling their personal and sensitive information. Hope these tips will help you to protect your important stuff from getting dripped. If anytime you lose your precious data, having a backup will help you to retrieve all your important files and documents safely and securely. Do respect the security of your data and don’t let other access it to avoid the risk of leaking of private information to others. Keeping all your data on cloud systems is the best way to handle your data safely. Even if you have your data backed up to physical devices it’s the best practice to preserve all your data at a place where no human error or hard drive failure can affect your data. You can try using Right Backup software from Systweak Software which provides the most secure online storage solution for your data! It’s one of the most trusted solutions for Windows, Mac, Android & iOS users as it proffers a safe room for all your data and allows easy access to your data & anytime & anywhere. Make sure to use an effective antivirus solution so that no virus, malware, adware or spyware can enter your devices and lead to data loss or any other damage. 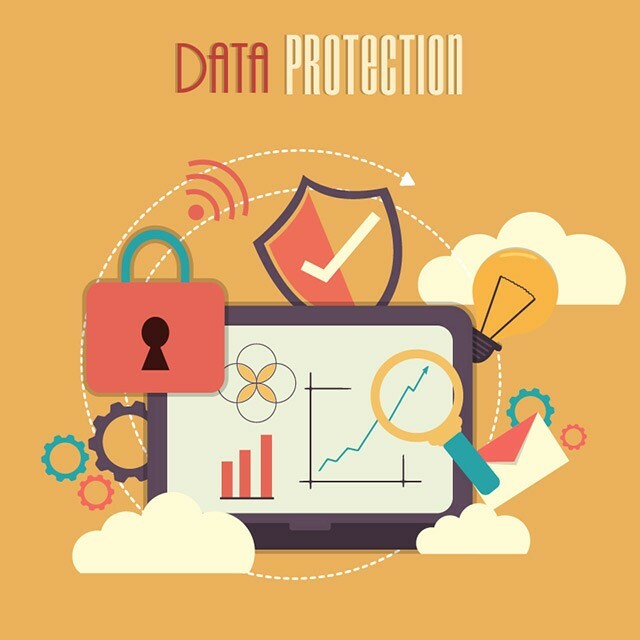 Here are some important Data Protection Tips every business and users should follow to avoid data breaches. Phishing attacks are an incredibly popular tactic used by cybercriminals to trick individuals & organizations into taking a wrongful action. Contrary, users should understand that these attacks have some conventional signs through which they can be easily identified. (b) Spoofed web pages or emails. (d) Messages with attachments & links that you didn’t request. (e) Legitimate messages usually do not have spelling mistakes. (f) Creation of a sense of urgency. Train yourself to better detect phishing attacks & avoid messages that appear suspect. Keep your system up-to-date with the latest operating system and additional software updates. As hackers and cybercriminals are active than ever before, it’s preferred to regularly install the latest updates to stay protected from security threats. Older software continues to have exploitable holes that allow online villains to get up to good. And ad quickly software providers find ways to fix those bugs, hackers have found new ones. Therefore, don’t put your system at risk by failing to update the latest update as you may live to regret it. Every organization should adopt the practice of encrypting confidential information that is shared by employees, partners, and customers. The process of encryption helps in protecting privacy by turning your important information into ‘hashes’ that is intended only for the parties that need them & no one else. Even today in this dynamic digital world there are several companies who believe in keeping things tangible. And if you’re one of those, so do have ever thought about taking precautions for consequences like fire or theft at your premises? How much data can get at risk and how would it impact your business? Most of the time, these circumstances result into major data loss & sometimes even lead to closure. 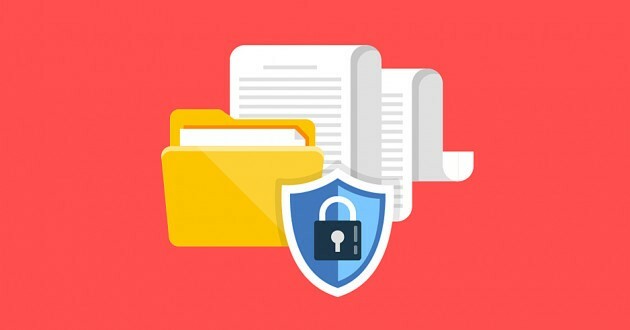 However, The Data Protection Act states that “systems should be put in place to guard against accidental loss or damage, therefore digitizing your documents eliminates the risk and also eradicates large document archive”. Very basic, don’t ever click on unknown links, even if they don’t look suspicious to you. Potential dangers that can come with these types of links are Malware, phishing scams, system crashes, viruses, data loss, and other security threats. Apart from social media, Emails are second most platforms that are vulnerable to security risks. It’s a prime spot for hacking incidents. There have been numerous data breach cases where emails have been compromised and leading to the loss of sensitive and personal information. To avoid such scenarios, users are recommended to create separate Email-IDs for social media and banking transactions, so that if your Facebook or Twitter gets hacked, there’s no potential risk to your financial information to be leaked. Also, data loss prevention can be handled via enabling two-factor authentication. There’s high probability that you’ve encountered personality quizzes on Facebook or other social media platform which asks seemingly silly or useless questions, and users find it very interesting to answer those. However, the sad part is, users being aware of the fact that they are completely spurious, intends to play it and unintentionally share their personal likes and dislikes. The risk of these quizzes came into limelight when Cambridge Analytica case happened and revealed that data of 50 million users were harvested through these personality quizzes. If you want to be on safe side and you do not want your data to be mined, just reduce the type of data you share by not giving permissions to third-parties on Facebook and other social media platforms. Keeping your social media presence to a bare minimum is an effective impediment to fight against surveillance and unauthorized access of your data. We understand that it’s is easy to say to limit your existence on social media but make sure you are all aware of privacy settings for your profiles. Be careful with whom you accept as friends online! We hope these tricks help you with making your data more secure and private. Happy Privacy! ← How To Protect Your Small Business From Cyber Threats?